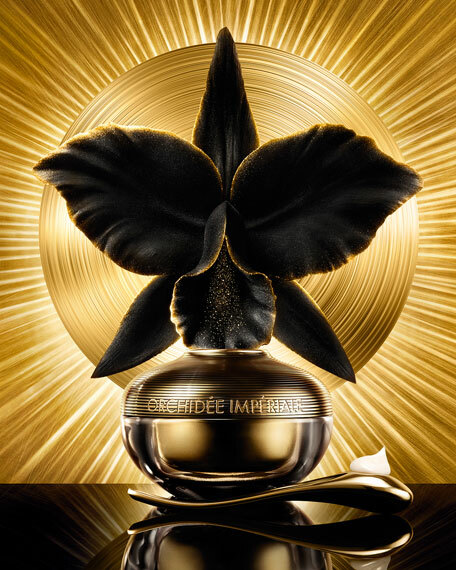 After more than 15 years of research, Guerlain Research reveals theOrchidée Impériale Black Cream a masterpiece of sensoriality and efficacy enriched with the Blackimmune technology that comes with all the strength and power of the Black Orchid to help reinforce the skin's self-defense system*. With every application, the skin becomes more resistant. Continuously protected, it can concentrate on revitalizing itself to combat all signs of skin aging: wrinkles appear to fade, the skin's texture is more refined and facial contours look more defined. 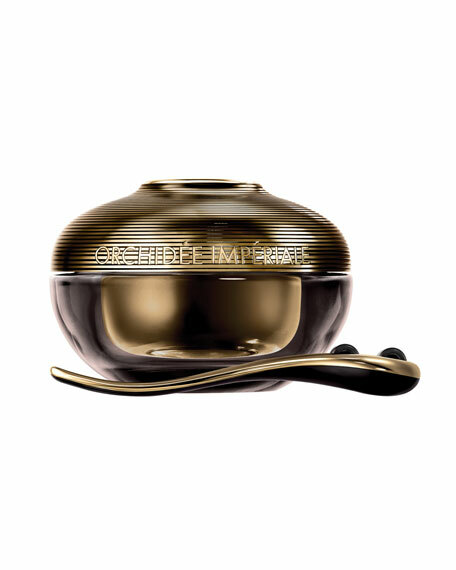 The skin is firmer, more supple and unbelievably radiant. 1. A new orchid, the Black Orchid, able to adapt its metabolism to its environment. 2. After more than 15 years of research, a new technology: the Blackimmune technology. It helps reinforce the skin's self-defense system. 3. 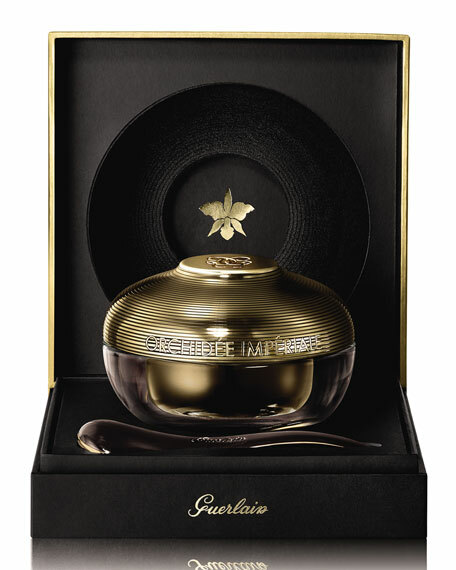 An immuno-massage tool designed by experts from Guerlain Beauty Institute. 4. Gently pat the skin with the applicator starting with your eye contour. Move to the contour of your lips and the contour of your face. 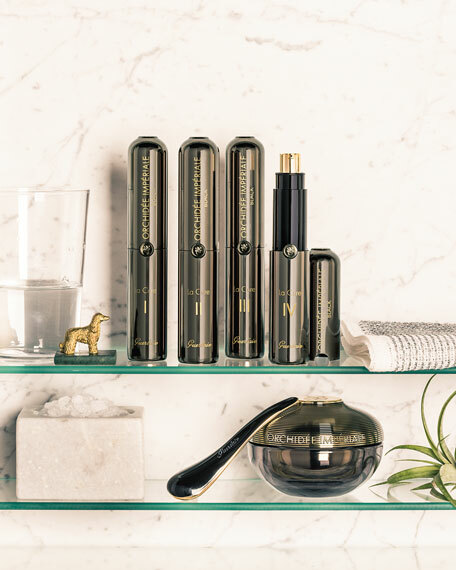 Enriched with all the strength and power of the Black Orchid, the breakthrough Blackimmune technology helps reinforce the skin's self-defense system and prevents the appearance of signs of aging*. The ultimate talisman of youth. For in-store inquiries, use sku #1965472.